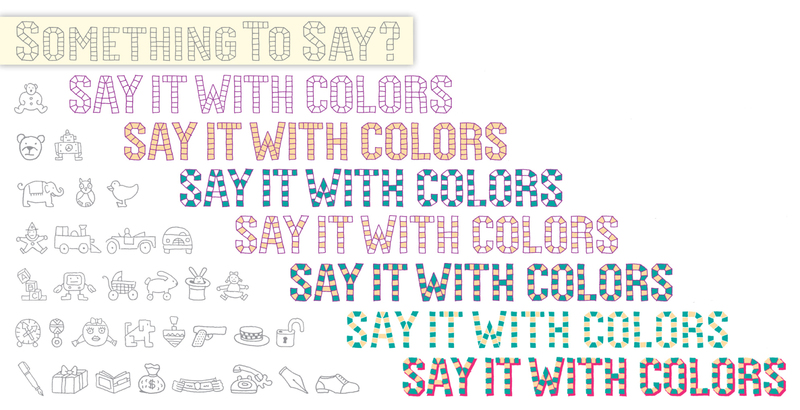 A whimsical and playful typeface with four separate font layers, that can be customized with color and combined. 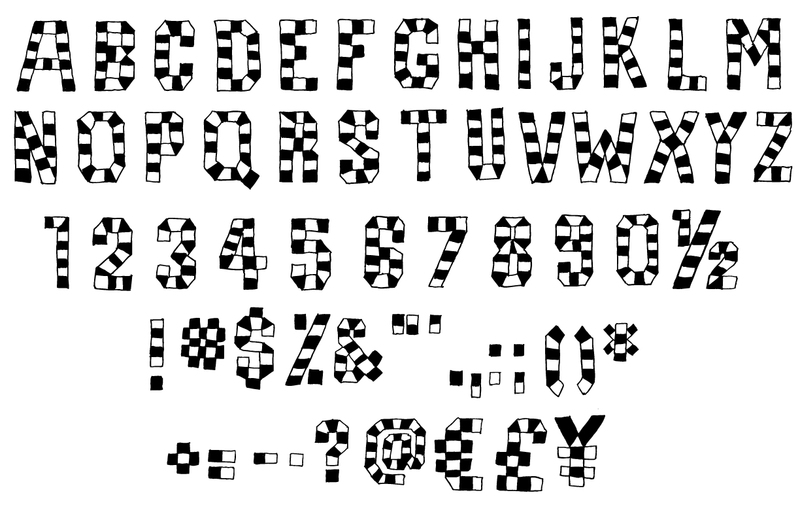 Bouncing Checks originated from an alphabet designed by Chwast, and was developed into an OpenType font family by Ray Cruz. The set also includes forty humorous illustrations.